Cruiser stern with handrail. 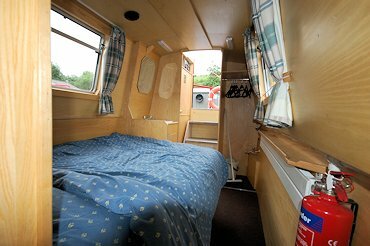 The front cockpit has seats either side. An inverter provides 230v AC, to power any of your own normal mains appliances up to 1000 watts. There is a mains hair dryer. The engine is a Beta quiet water-cooled diesel. 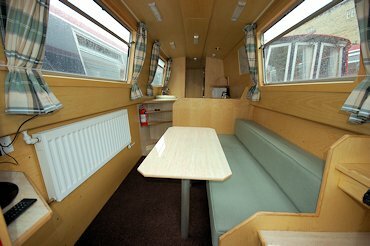 The saloon at the front has an L-shaped settee with a table which can be hidden away when not required. 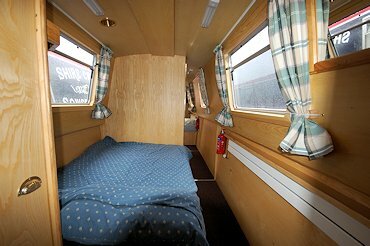 The settee converts either to a double bed or to two singles. 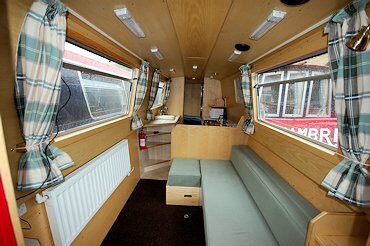 There are large drawers under the settee. 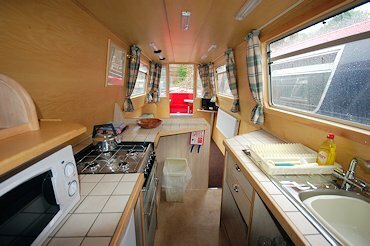 There is a TV/DVD player, and a radio CD. 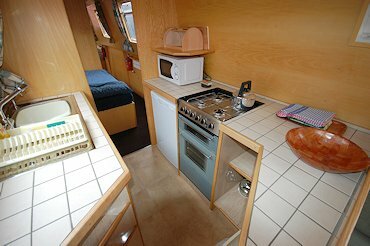 The galley has a fitted cooker with 4-burner hob, oven and grill, fridge, microwave, lots of storage and tiled worktop. 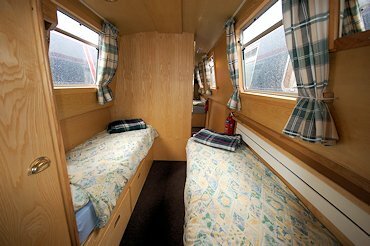 The middle bedroom is arranged as a fixed double or two fixed singles and has storage under the beds, wardrobe (with dividing door from galley) and shelves. 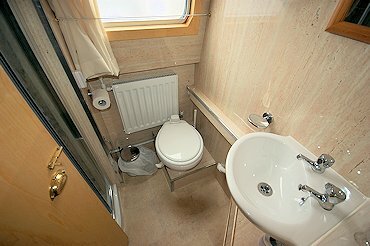 The bathroom has a corner shower, toilet, basin with shelves, and radiator. There is a dividing door in the corridor. 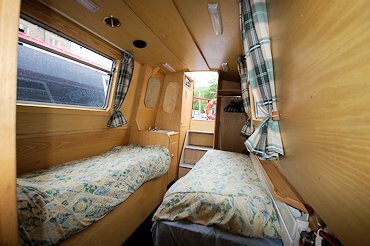 The back bedroom is arranged by us as either a fixed double or two fixed singles (with sprung mattress) - you can walk round in either case - and has storage under one bed, a wardrobe and a wet locker. 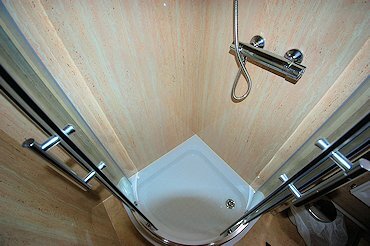 There is a washbasin with cupboard under.